To maintain the focus on the subject at hand, let us seclude this discussion to one aspect of the internet, a social networking site: Facebook. It is a well known fact that facebook is not very secure but despite these risks, facebook has its social benefits which most of us prioritise. But the focus of this discussion is to use facebook as an example of how our behaviour affects our character and feeds diseases of the heart, in relation to ‘e-modesty’. 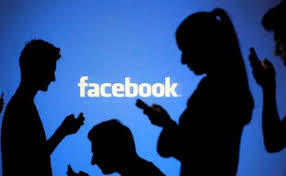 Thus we shall examine the online persona and some of the psychological effects related to facebook use. Quite simply the persona is the role that one assumes or displays in public or society, thus it is one’s public image or personality, as distinguished from the inner self. Facebook provides fertile ground for ones persona to be created. You control your profile, who to befriend, what pictures to upload and determine what to write. Life itself is not so controlled and many who are unable to deal with the spontaneity of life find comfort within this virtual environment. This persona feeds off ostentation, that is, to show off and impress. Imam al-Ghazali has said in Bidayah tul Hidayah (Beginning of Guidance), “Love of fame comes from the ruinous pursuit of one’s inclinations. It is this that destroys most people, for nothing destroys people except people themselves.” Hence, what you see is pretty photos uploaded (edits and airbrushing) to facebook to allow the audience to tell you how beautiful or `fit’ you look. And the more ‘likes’ you get the greater your thirst to impress. The same applies for showing ones talents, whether you are a MUA, a painter, a baker or a party goer.